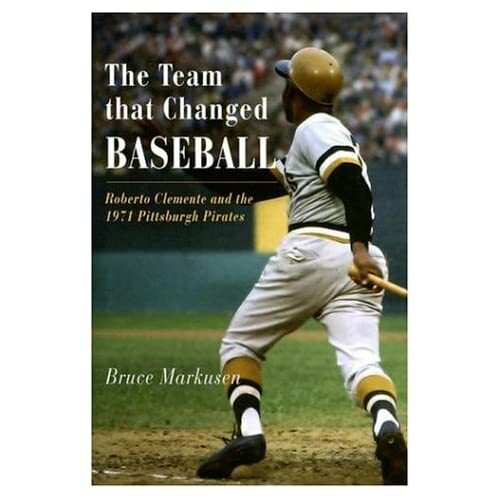 Fellow blogger Bruce Markusen's newest book covers the story of the 1971 Pirates team from beginning to end, and goes beyond that, really, since it starts with General Manager Joe Brown’s assembly of the club in the winter of 1970-71 and ends with a “where are they now” epilogue. Markusen’s fond memories and thorough research, buttressed by numerous personal interviews with some of the surviving personalities form that team and that time, provide for an extremely detailed description of the season, the players and the games. The reader is led through the year, month by month, game by game, and gets the kinds of details most people would only know from having been there, which is generally a good thing. But baseball isn’t called “the long season” for nothing, with a month of spring training, 162 regular season games and (mercifully, in 1971, only) two rounds of playoffs to cover, not to mention the important events of the preceding and following winters. Over such a long span, the particulars of individual games get a little tedious, especially if you aren’t as invested in the Pittsburgh franchise as Markusen evidently is. The premise of the book is that the 1971 Pirates, being the first team in Major League Baseball to field an all-minority lineup, and actually winning as they did so, showed the rest of MLB and the world that success could be achieved regardless of the colors of players’ skin. GM Joe Brown’s acquisitions of players to bolster his roster based on his team’s needs, and the players' talents, rather than their status as black or white or Latino, served as a model for other franchises to consider abandoning any official or unofficial racial quotas they may have utilized. That manager Danny Murtaugh daily filled out his lineup card without regard to race or ethnicity is a credit to his open-mindedness and gave other managers an example to follow. But if the team had not succeeded, if they had not won the National League and eventually the World Series, perhaps fewer heads would have been turned and the impact that Markusen discusses might not have been realized in MLB for much longer.